On 06/21/2018 Investigators with the Vice Division executed a search warrant in the 3100 block of Montgomery Highway as part of three week narcotics investigation. Investigators recovered approximately one pound of synthetic marijuana (analog) as well as marijuana packaged for sale. Investigators have arrested and charged 39 year old Dwight Thomas, of S. Park Ave, with Drug Trafficking and Possession of Marijuana 1st degree. Bonds total $30,000. The investigation is ongoing and more charges are possible. 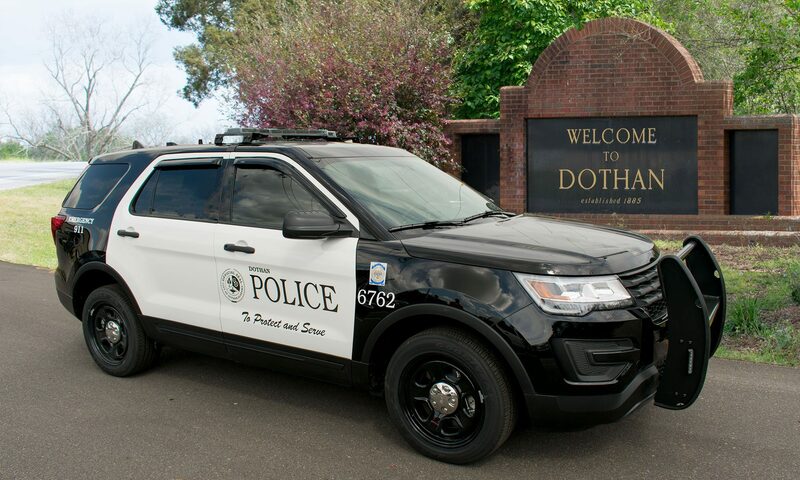 On June 20th 2018 Dothan Police responded to the 700 block of N. Range St. for a report of Sexual Abuse of a Child. Officers made contact with the reporting persons and discovered that the victim was an 8 year old child. The victim was subjected to sexual contact by Joseph Earl Poke, 53, of Poyner St., Dothan. Officers made contact with Poke and he was transported to the Dothan Police Department for questioning. After all interviews were complete Joseph Earl Poke was charged with one count of Sexual Abuse of a Child Less than 12 Years Old. He has a bond amount of $30,000.00. On June 19 2018 two Patrol Officers made contact with a suspicious vehicle in the 800 block of Tuskegee Avenue. While investigating the suspicious vehicle and speaking with the only occupant of the vehicle, Officers detected the odor of narcotics emitting from the vehicle. The driver exited the vehicle and the Officers searched the vehicle. Officers recovered approximately three pounds of marijuana, a large amount of currency and three firearms inside the vehicle. A Vice Investigator responded to the scene and concluded the investigation. Investigators have arrested and charged 32 year old Shayla Berry, of Chevette St Kinsey, with Drug Trafficking. Bond has been set at $30,000. On June 11th 2018 Dothan Police responded to an Armed Robbery of a business in the 3400 block of Denton Road. Two suspects entered the business armed with handguns and demanded money from the employee. The employee attempted to flee from the store and was involved in an altercation with the suspects. The employee was eventually able to escape from the business with minor injuries. The suspects fled the store with a small amount of cash, cigarettes, and a laptop computer. Investigators were able to obtain video surveillance from the store and released the video to the public. On June 14th investigators were able to identify one of the suspects involved in the robbery. Kenneth Lamont Davis, 30, of Sherwood Dr. in Dothan was arrested for one count of Robbery 1st Degree and one count of Unlawful Possession of Marijuana 1st Degree. A search warrant was served at his residence on Sherwood Dr. where investigators recovered a handgun and marijuana. Davis has bonds totaling $255,000.00.